This book argues: we couldn’t keep it. 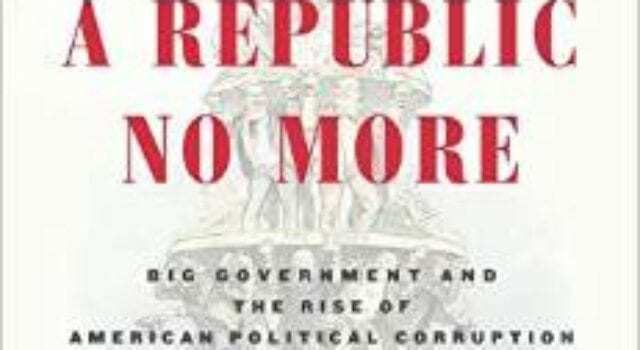 A true republic privileges the common interest above the special interests. To do this, our Constitution established an elaborate system of checks and balances that separates power among the branches of government, and places them in conflict with one another. The Framers believed that this would keep grasping, covetous factions from acquiring enough power to dominate government. Instead, only the people would rule. Proper institutional design is essential to this system. Each branch must manage responsibly the powers it is granted, as well as rebuke the other branches when they go astray. This is where subsequent generations have run into trouble: we have overloaded our government with more power than it can handle. The Constitution’s checks and balances have broken down because the institutions created in 1787 cannot exercise responsibly the powers of our sprawling, immense twenty-first century government. The result is the triumph of special interests over the common interest. James Madison called this factionalism. We know it as political corruption. Corruption today is so widespread that our government is not so much a republic, but rather a special interest democracy. Everybody may participate, yes, but the contours of public policy depend not so much on the common good, but rather the push-and-pull of the various interest groups encamped in Washington, DC. Previous articleWow. Racism and Pettiness Much, Whoopie Goldberg? Next articleEgads! Bald Michelle Obama Preaches Nutrition on Jeopardy!